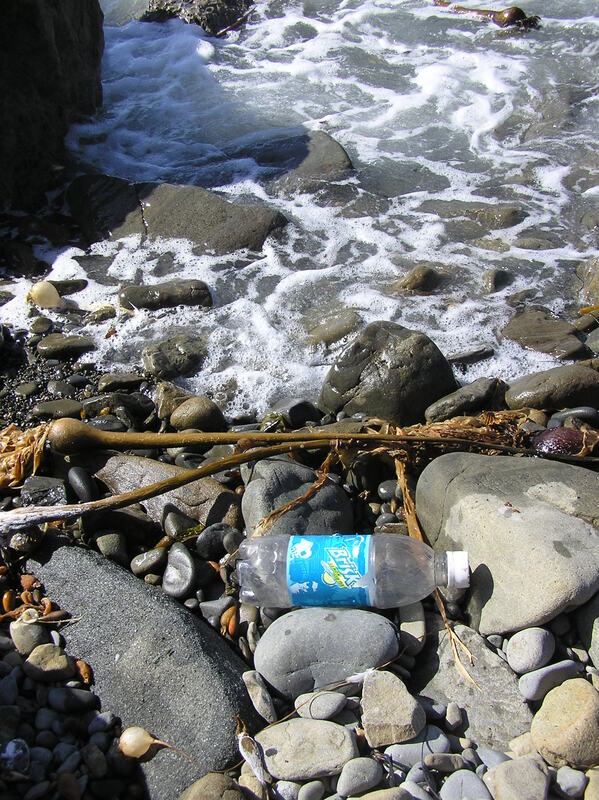 Pesky Plastics Problematic for the Great Lakes – Neptune 911! Toxic chemicals clinging to plastics could cause health problems for fish and other organisms in the Great Lakes. They were discovered in samples from the first-ever Great Lakes plastic survey in Lake Erie, Lake Huron and Lake Superior last summer, Lorena Rios Mendoza, an assistant chemistry professor at the University of Wisconsin – Superior, announced Monday. And instead of just sitting in sediments as some scientists previously thought, those pollutants might be traveling with plastics to other parts of the Great Lakes. Rios Mendoza presented the survey results at the American Chemical Society’s national meeting. She and other researchers found from 1,500 to 1.7 million plastic particles per square mile, with the highest counts from Lake Erie. Rios Mendoza’s analysis of the Lake Erie samples found polycyclic aromatic hydrocarbons, also called polyaromatics or PAHs, at concentrations roughly twice what she found in the Atlantic Ocean. The analysis also revealed polychlorinated biphenyls (PCBs), which she is still analyzing. Scientists have linked both PAHs and PCBs to human and aquatic health threats. PAHs and PCBs, as well as organochlorides, are Persistent Organic Pollutants, or POPs. They can stay in the environment for 50 years or more. 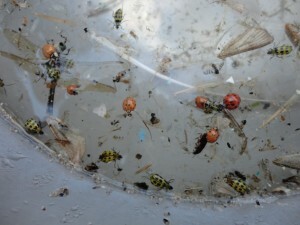 They also bioaccumulate—move up the food chain from one organism to another, becoming more concentrated at each level. Such compounds are hydrophobic—they don’t like being in water. Given a chance, these pollutants cling to plastic particles. Imagine a shipwrecked sailor grabbing a floating board. Particle size might explain why Lake Erie’s PAH concentrations were higher than those from the Atlantic Ocean. About 85 percent of the Great Lakes samples were microparticles measuring less than two-tenths of an inch down to microscopic levels. “The sizes are smaller in the lakes than in the ocean,” notes Rios Mendoza. The smaller the particles’ size, the greater the total surface area is and the more pollutants they can collect. “This is why they can concentrate more than a million times from the concentration in the water,” explains Rios Mendoza. Until now, most POPs in the Great Lakes were found in sediments. But while sediments sink to the bottom, many plastics float. Small size also makes it easier for fish and zooplankton to mistake POP-carrying plastic for food. Eating the particles could thus expose them to toxic chemicals. PAHs “are the product of incomplete combustion,” notes aquatic toxicologist Peter Landrum of the National Oceanic and Atmospheric Administration’s Great Lakes Environmental Research Laboratory, who did not work on the study. PAHs are most evident near steel mill coking facilities. They also result from things like burning wood or petroleum products. PCBs were previously used in electric transformers and motors. Congress banned their production in 1979, but they remain in the environment. “PAHs have been known to cause DNA damage in organisms that accumulate higher levels of them,” notes Michael Carvan, a marine biologist and veterinary expert at the University of Wisconsin – Milwaukee’s School of Freshwater Sciences. DNA damage can cause cancer or physiological impairment. PCBs can cause cardiac problems, skeletal deformities, and neurological problems. 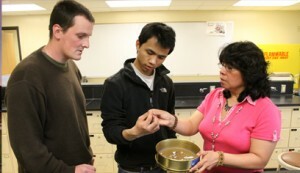 Lorena Rios Mendoza, an assistant chemistry professor at the University of Wisconsin-Superior, with students in her lab examine plastics found on the shore of Lake Superior. work on Rios Mendoza’s study. Developing fish get the chemicals through mothers’ eggs. Juveniles often dwell in nearshore habitats that provide refuge from predators. Even small health problems can lower their survival odds and reduce fish populations. Carvan and Landrum say it’s unclear how much new risk POPs on plastic actually present. POPs usually won’t move from sediments to plastics unless they sink or storms stir up a lake. Also, various Great Lakes fish already have some POPs in their tissues. Plastic particles would need a higher concentration than those tissues before more POPs would move into them. Otherwise, says Landrum, “The fish is not going to really digest those plastic beads.” Then particles and POPs could pass through as poop. Nonetheless, plastics are mobile. “The plastic materials themselves can travel long distances,” says Olga Lyandres of the Alliance for the Great Lakes, whose Adopt-a-Beach program promotes plastics cleanups along beaches. Movement might spread POPs to more areas. In any case, eating plastic isn’t good. 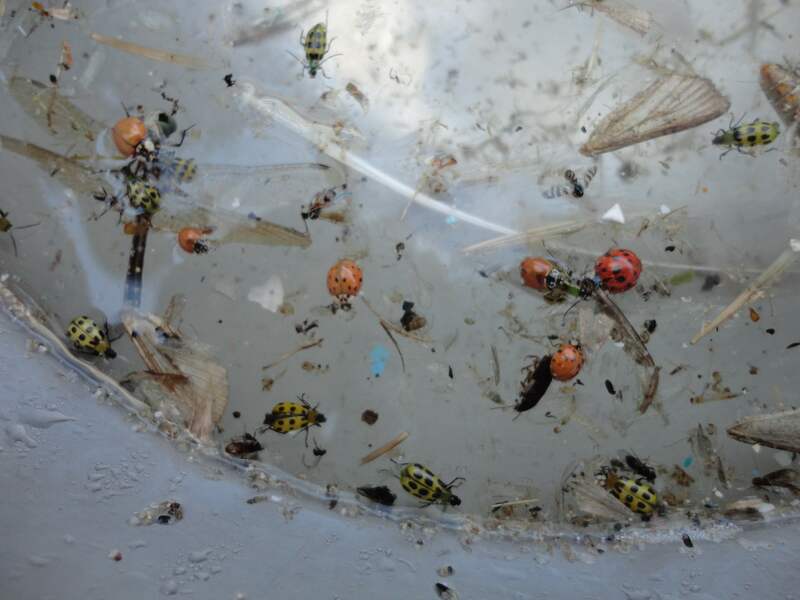 “If an animal is eating plastic beads instead of what it’s supposed to be eating, then its nutritional requirements are not going to be met,” notes Landrum. Other scientists who participated in last year’s sampling trip include 5 Gyres Institute’s Stiv Wilson and Carolynn Box, Niagara University’s Bill Edwards, and SUNY – Fredonia’s Sherri Masson. Additional trips this summer will sample water from Lake Ontario and Michigan. Rios Mendoza also plans to analyze contents of fish stomachs and fish tissue from the Great Lakes. Data could help show how much risk POPs actually present. “We need to continue with the studies,” she says.